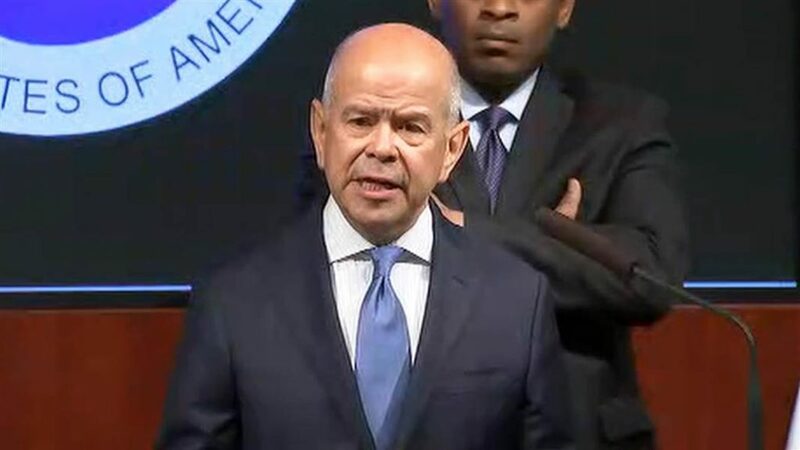 FAA Administrator Michael Huerta speaking to the press about the implementation of the Part 107 drone regulations. Image via NBC News. A U.S. airstrike in Syria killed Abu Muhammad al-Adnani, a senior strategist and spokesperson for the Islamic State. According to two U.S. officials who spoke with the New York Times, the strike was carried out by a drone and was the result of close collaboration between the CIA and Special Operations forces. The airstrike targeted a vehicle carrying al-Adnani near the northern city of al-Bab. A Pakistani man was sentenced in Arizona to 33 months in prison for attempting to smuggle drone components out of the United States. Syed Vaqar Ashraf tried to ship gyroscopes to Lahore for use by the Pakistani military. He was arrested in August 2014 in Belgium. (Tuscon Sentinel) For more on drone smuggling, click here. A report by the Center for a New American Security argues that the U.S. Navy could save tens of billions of dollars by replacing the manned F/A-18E/F Super Hornet jet with a semi-autonomous fighter. At the New York Times, Eric Schmitt, Rukmini Callimachi, and Anne Barnard examine the consequences of al-Adnani’s death for the leadership of the Islamic State. A report by the U.S. Department of Defense Foreign Military Studies Office chronicles the growing use of remote-controlled weapons among terrorist and insurgent groups in recent conflicts. At War on the Rocks, Benjamin Jensen and Ryan Kendall argue that the U.S. Army could benefit from leveraging private sector-grade artificial intelligence in military systems. At WIRED, Aarian Marshall offers tips for how to pass the FAA’s drone operator certification test. Aviation Week considers the role that drones are playing in the UN peacekeeping mission in Mali. At IEEE Spectrum, David Schneider examines the FAA’s role in establishing privacy protections around drone use. At the Oregonian, Anna Marum considers what the FAA’s new drone regulations could mean for industry in Oregon. At Defense News, Barbara Opall-Rome writes that the Israeli government is wary of a possible U.S. push to create an international agreement on armed drone exports. At Vice News, Jason Leopold reports that FBI documents from the investigation of Hillary Clinton’s email server reveal that Secretary Clinton did not think that information pertaining to drone strikes was classified material. At Breaking Defense, Richard Whittle describes what we might expect in the U.S. military’s 2016 Black Dart counter-drone exercise. At the Daily Mail, Anthony Joseph investigates the Amazon Prime test site in the U.K. The Drone Journalism Lab published an operations manual for drone journalism. At Lawfare, Robert Chesney considers whether the absence of drones in the U.S. air campaign in Libya explains why that mission has received relatively little public attention. At the Motley Fool, Rich Smith looks at recent drone contracts awarded to Kratos Defense and Security Solutions, and considers what they might mean for the future of the company. Corrections: An entry in last week’s Commentary, Analysis and Art section mistakenly reported that an article in the Sunday Times covered drone acquisition by the U.K. Ministry of Defence. The story was about Ireland’s Department of Defence. That Roundup also misidentified a college football team as the “Kentucky University Jayhawks.” The team is in fact the Kansas University Jayhawks.